Shazad pulls latex gloves over his hands and snaps on a medical face mask. Machines buzz in the background, preparing bottles of medicine for distribution. He steps over to an assembly line to begin his day working at a pharmaceutical factory in the bustling city of Karachi, Pakistan. The job doesn’t pay a lot, but it’s stable. Some might call him lucky. People of his kind are considered outcasts of society. From birth, his heritage seals him into a marginalized social class, marked by poverty and limited access to education. With his social class clearly printed on his ID card forever, unchangeable, the search for work is usually met with a constant slew of rejections. People like him are denied access to even walk into some buildings in the city. Most are limited to living in the slums, which are rife with alcohol and drug abuse, so Shazad is grateful to have been given a chance to work a steady factory job over the years. Still, about eight years ago, Shazad began to desire more than to just go through the motions working in a factory. He wanted to challenge his mind, wanted to study and learn, to understand his true role in the world and in life. He wondered, could his life have value even though he was a cultural outcast? He heard about a Bible teaching program being held at a church in Karachi, open to people of his social class. His wife Shazia was also intrigued. Getting any kind of education was a rarity for women, and even rarer for a woman of her class. Women’s education was considered unnecessary in their area. But like Shazad, she could not quiet her hunger to learn and to discover truth, and Shazad supported her desire. So one day, they boldly decided together to knock on the door of the church, which is set in a commercial area of Karachi. They were greeted by friendly faces and welcomed in. It turned out, the church was indeed offering a Bible teaching program for people just like Shazad and Shazia. The couple was delighted. The longer they talked with the staff, the more they also began to hear things about God they had never heard before. They were told that their life had value to God, even as outcasts, and that He wanted to have a relationship with them. Moreover, they learned that with the help of Jesus, it was actually possible to have a relationship with Him. They decided right then and there to follow the path of Jesus and begin a relationship with God. Over the next three years, the couple attended Bible classes after Shazad finished his daily work at the factory. The staff realized the pair could be just the right thing to fill a hole in their Sunday ministry. See, church service on Sunday was held in the language of the upper class and the government: English, a vestige of British colonization. But it was a language few people of Shazad’s social class could understand, as they usually spoke the language of Urdu. Shazad and Shazia knew this was a chance to leverage their cultural background to serve God. 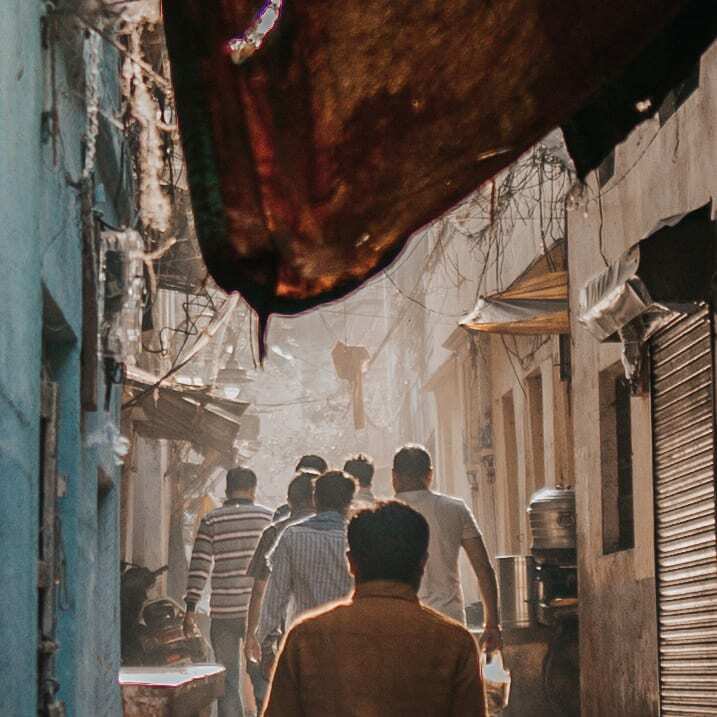 They began teaching a Sunday school class at the church in their native tongue of Urdu for their friends traveling into the city from the slums each Sunday. The number of people that came grew so quickly, they eventually started holding a full Urdu church service on Sundays. As time went on, Shazad and Shazia began to feel an itch to help people in their social class even more. They decided to do something bold. They sold their home, purchased a property in one of the poorest areas, and began making plans to start a church for Urdu speakers. Most people with a steady job and an education like theirs might have chosen instead to disassociate as much as possible from the poorer areas. But not Shazad and Shazia. All they could think about is how it would make it easier for people in the slum to attend a church. Now a woman of education, Shazia spends her time paying it forward to friends in their new neighborhood. The couple has opened their home to up to 30 local girls and boys each day, teaching them from the Bible. Their daughter, a young teenager, has been learning from her mother too, and has taken younger children under her wing, teaching them what she has learned over the years. The family hopes to have a church up and running with services in early 2019. Meantime, when Shazad isn’t working with his wife to teach local adults from the Bible in their home on Fridays, he is still working in the pharmaceutical factory. As he inspects bottles of medicine, he smiles. Now he knows beyond a shadow of a doubt that he did not get the job by sheer luck of the draw, like some might think. He sees now how God has used his job to provide for his family so they have the means to live and teach other families in his social class about God. He works hard, knowing that his work matters to God. Even factory workers who were born into a social class above his have taken notice of his confidence as a leader and his work ethic. Their lives today are a testament to what God can do through two people from the lowest rung of society, who are simply willing to learn, love, and live boldly. Want to help Shazad and Shazia get their church started? You can partner with them through our Hope Project, donating here!